This is for anything with regards to reptiles which is not species specific or over a broad band of reptiles. Be it husbandry, caging, etc. you can post it here. Mods - please advise if this is in the wrong section. I am looking at importing some temperature and light switching controllers as well as some temperature and humidity sensors and would like to know if anyone wants in on the order. 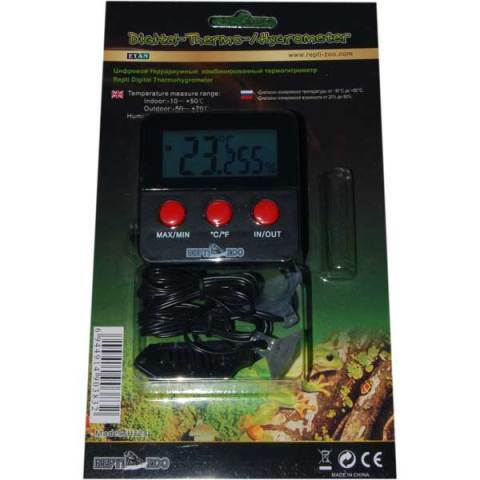 The temperature controller is similar to the Lucky Reptile unit but a little updated. 1. Temperature control settable for daytime and night-time mode. Looking at landed costs of +/- R450 per unit. The temperature and humidity sensor is like the exo-terra one - battery operated. A simple LCD showing temperature and humidity. Looking at landed costs of +/- R150 per unit. Brad, my main concern is that there are already pretty good quality thermostats, with the same temp control and light control which you mention, and for exactly the same price. In fact, my ones cost R400 and look exactly like the Lucky Reptile unit. So I wonder if it's worth all the effort of importing if they are available locally. Even the temp/humidity sensors are available for the same price as your advertising, so I wonder if it's worth it. Westley - please tell me then where you get them... not sure if you on has a day and night temp setting? I have been told that a unit will be done this year that does temp (day/night) lights and humidity, something I cant find here in SA. Okay, your thermostats are definitely better than the local ones, price wise. I was thinking of the other, more basic ones, so they will definitely be worthwhile, but the temp/humidity sensor is exactly the same as the local ones. I'd say definitely worthwhile importing the thermostats at that price. Thought I did my homework - well half of it at least. Westley is right, the thermostats we get for R490 are great but only has one temp setting and a light on\off. The digital thermometer\hygrometer I use now keeps the history and looks better and I am sure I paid about R170 for it. Mitton - I wont do that - I need for myself anyway and have to meet some MOQ (minimum order quantity) so at least I can get a few other enthusiasts to join in and make it worth while. them and at that price you can`t go wrong! I will order the controller with no plug (bare wires) and socket (also bare wires) as they can only supply the EU/schuko plug - for me a real pain in the backside. I would rather put my on plug on and connect light and heating pad directly - also saves space and can be made tidier than those pesky schuko plugs with converter adapters. Well I have a couple of those on my racks, unfortunately the timer function is not working on them so they just regulate the temperatures(got them at a discounted price). For what works on mine works well and they seem easy to use in my opinion. If you can bring them in at that price I’ll take two. Thanks for the heads up Kev - unfortunately I have learnt my lesson from past "deals". I need a whole bunch anyway and I have a mate that is keen to join in and stock up his shops - so either way looks like I am going to go ahead. I would be very interested in one or two of these once i have my new room up and running, which unfortunately will only be in a month or 2 time. I first have to get our new place up and running before i start with my snakes though. lol @ marc bt - I am going through the same situation. We had a fire at our place last year September, and we only moving in next week! All animals survived but it did mess a bit with my plans in terms of breeding for this season.